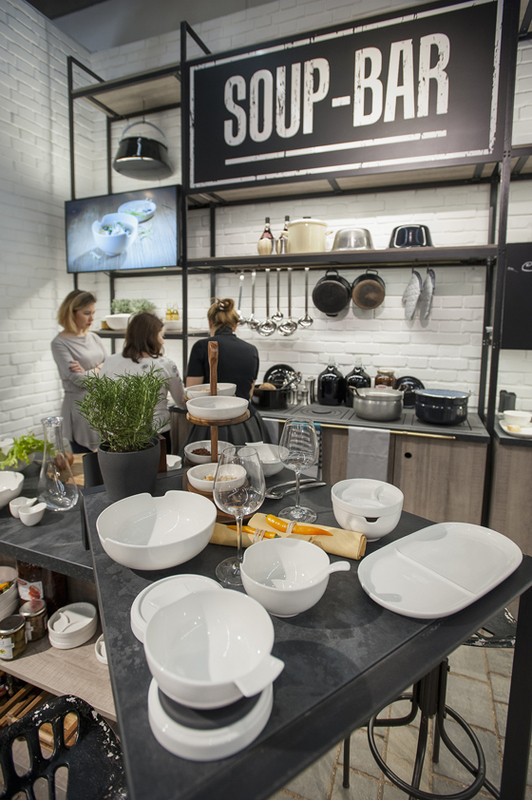 From 10 to 14 February, the international consumer-goods trade show in Frankfurt will offer a globally unique overview of the fields of furnishing, kitchenware and the culture of the dining table. The UK is the Partner Country for 2017, with British designer Janice Kirkpatrick curating and designing the presentation areas that will highlight the partner country's products and exhibitors. It was while she was a student at the prestigious Glasgow School of Art in 1986 that the Scots designer – together with her husband and architect Ross Hunter – founded the interdisciplinary design firm of Graven. 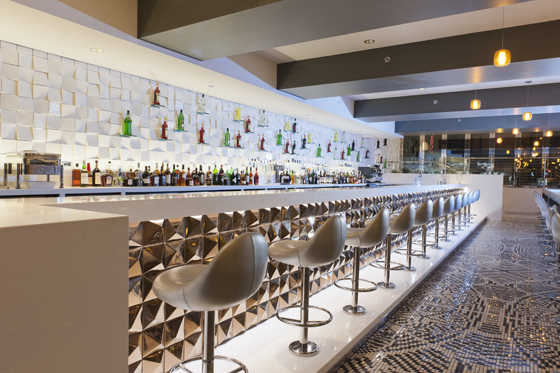 Janice Kirkpatrick is an expert on branding: throughout the world she has designed interiors of all kinds with a holistic approach and given international brands an impact-making identity. 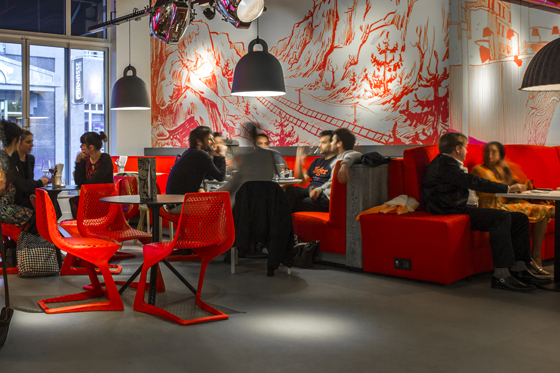 For the Radisson Red Hotel opened recently in Brussels, Graven was responsible for brand development and overall design. 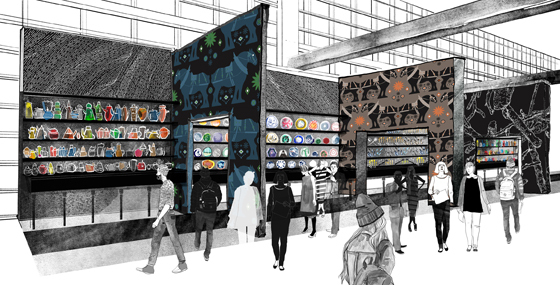 “The concept was aimed at a young target group: in part we work with local designers and artists, and apply customised elements to create a unique atmosphere," explains Janice Kirkpatrick. For her design goes well beyond the architectural layout of individual spaces, and also covers individually designed furniture and fabrics, patterns, wallpaper and objects created especially for the brand. For the Ambiente design commission, Janice Kirkpatrick looked for a way to present her home country without overloading it with the usual national symbols, such as depictions of the national flag. At times of great political uncertainty, she wanted symbols that would create binding, positive associations. She found what she was looking for in the British tradition of breeding animals, selecting one representative animal for each of the four nations that make up the United Kingdom and – in combination with a range of plants – using this as the basis for creating wonderful ornamental patterns. The Clydesdale, a heavy and powerful breed of horses which was traditionally used in agriculture, represents Scotland, supplemented by the star-shaped leaves of the butterwort. Northern Ireland is represented by the Irish wolfhound, which freed the country from wolves, while the yellow blossom of the flax refers to the local linen industry. The traditional breed of White Park cattle represents England, together with the filigree blossoms of the woad plant. 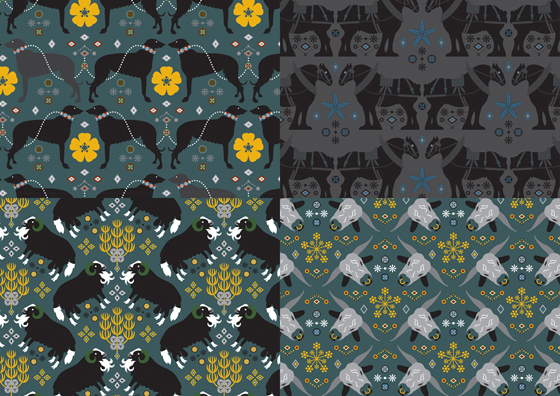 The Welsh decor uses the Balwen Welsh Mountain sheep with its prized black wool, while the graceful twigs of the juniper, which gives gin its distinctive taste, provide visual contrasts. Many will be looking forward to the exhibits such as those provided by the British firm of Arthur Price, which develops tailor-made cutlery and hotel silverware for its customers. 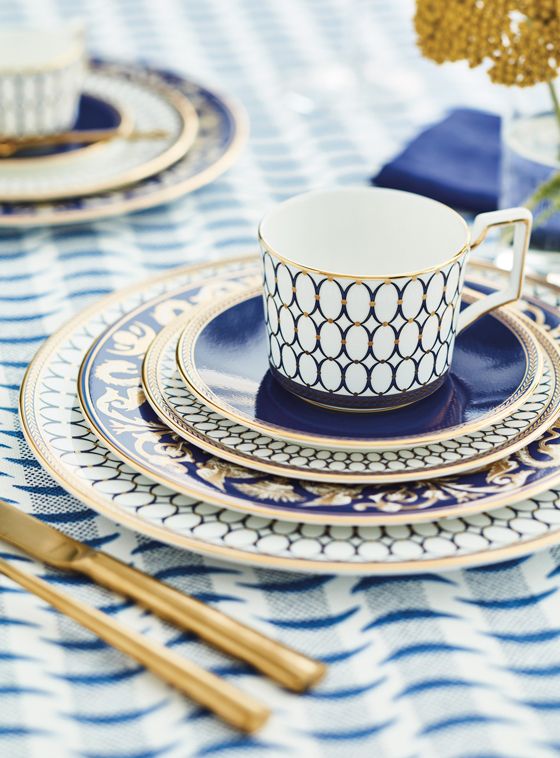 Its products will be supplemented by the tradition-rich firm of Churchill China from Stoke on Trent, which has roots going back to 1795 and produces quality tableware for the hotel business. 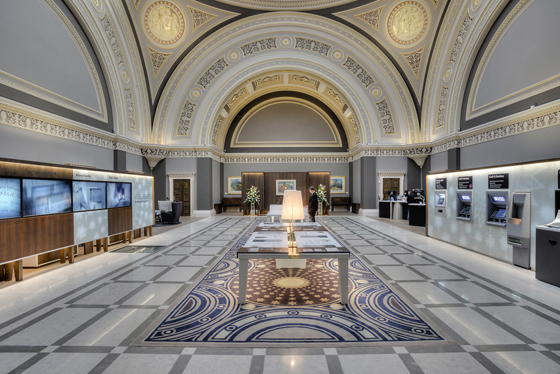 In addition, WWRD United Kingdom with its Waterford and Wedgwood brands will be represented in the British presentation areas, with its portfolio of luxurious home and lifestyle products such as exquisite crystal glasses and timeless ceramics. By the way, Janice Kirkpatrick is so attached to the designs she has created that she is now planning to use them in a series of plates and textiles. "There is a lot to discover in my designs. In many cases people are no longer aware of important things which are part of our cultural heritage,” states Janice Kirkpatrick in describing the “spaces for Great Britain”, which take the form of large-scale projections on the walls of the exhibition area. 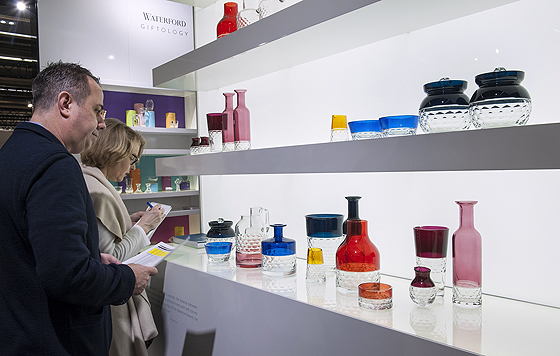 The exhibits selected specially for Ambiente are presented in large glass cases, on the model of the typical collection found in British homes. Prestigious manufacturers with many years of production behind them contribute articles that are enduring, recognisable and regarded as reliable brands. However, Kirkpatrick has also selected younger companies and well-designed products which she values personally from the decoration field, for example. 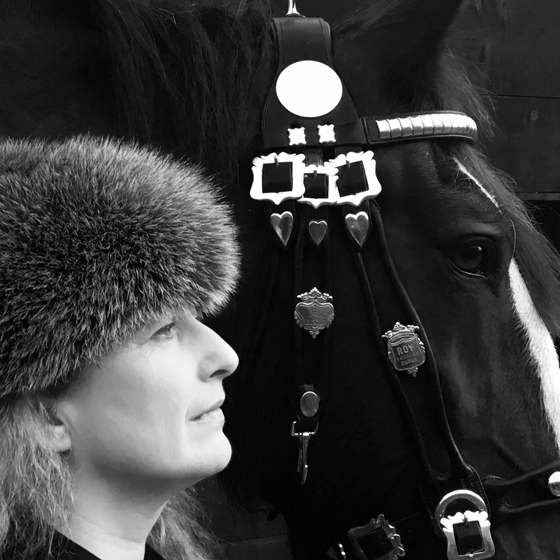 Her aim is to draw an all-encompassing picture of the United Kingdom with its many different facets with the aim of being as inclusive as possible.